the Healing Art Activities at The Empowerment Project Website. This healing art activity is about how we work around the obstacles before us. 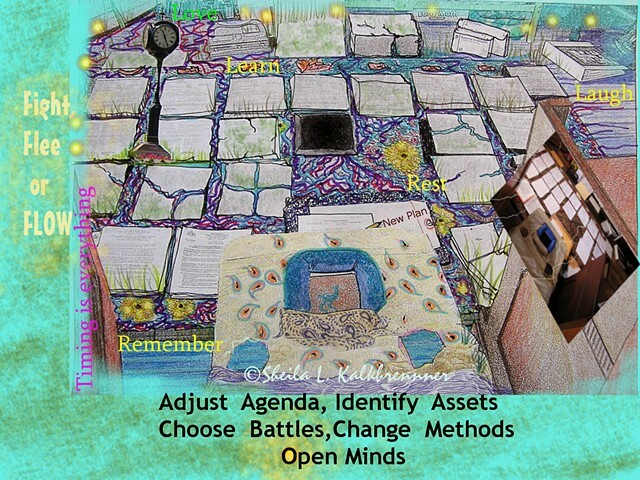 This resulting collage in Sheila's Art Journal originates in the experiences of fighting from the prone position. it is an expansion from the FLOW suggestions from the Day 22 post at Lisa Sonora's FLOW:30 Day Journal Project.